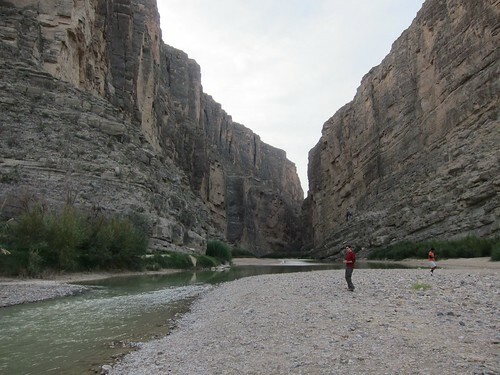 The Rio Grande flows through the Santa Elena Canyon. On the left is Mexico and on the right, Texas. Background: I’d traveled I-10 from Houston en route to and from Mesa, Arizona, at least once a year beginning in 1999 and noticed the signs for Big Bend National Park, but I never had the combination of time and money to make the trek to the southwest tip of Texas. In early December, 2012, I completed a house/pet-sitting job in Las Cruses, New Mexico and planned the trip to Big Bend before my next house/pet-sitting assignment in Houston. Getting to Big Bend is, indeed, a long trek. 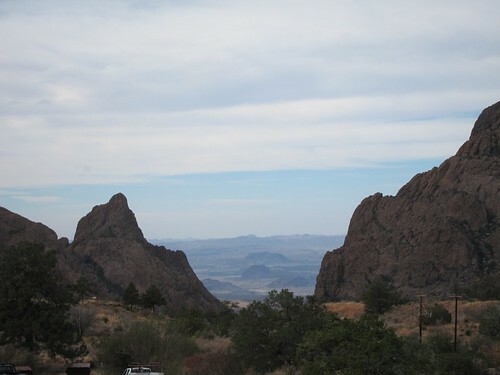 Chisos Basin Lodge, the only lodging other than camping in the park, is located far from any major city. From the lodge to San Antonio, 448 miles (7 hrs); from the lodge to El Paso, 340 miles (almost 6 hrs). The park has 1,252 sq. miles, which is larger than the state of Rhode Island. It is the largest protected area of Chihuahuan Desert topography and ecology in the United States, according to Wikipedia. The Window can be viewed from the Chisos Basin. 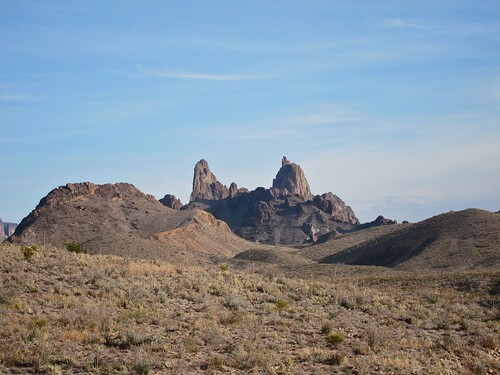 The Mule Ears is another of the often-photographed rock formations.